Security Officials at large municipal facilities, such as airports, struggle with maintaining real time situational awareness of First Responders and/or Security Personnel due to vast indoor and outdoor spaces. 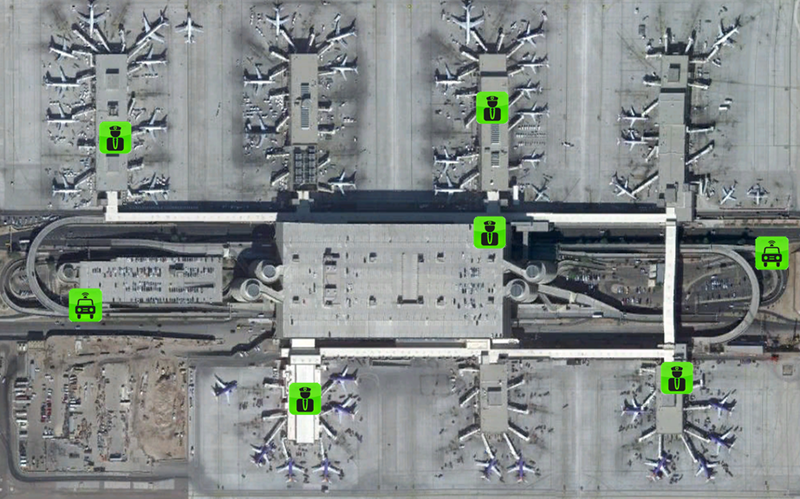 How do you track First Responders inside large buildings? Can you still track First Responders if they travel outside? Can you track vehicles underground or inside large parking structures? Can you account for all security personnel during an emergency? What about ‘man-down’ alerting or ‘panic’ alerting? Given this complex environment, the challenge is to provide real time situational awareness of First Responders and/or Security Personnel, such that indoor and outdoor tracking is seamless to monitoring personnel. Through the use of vTrack™’s real-time tracking technology, facility personnel and vehicles can be tracked with up to a 1 second rate. This system provides real-time geo-spatial data for all vehicles and personnel and authorized visitors, which can be integrated with 3rd party Command and Control Systems.